Gorgeous Kc Reg Apricot Girl For Sale. 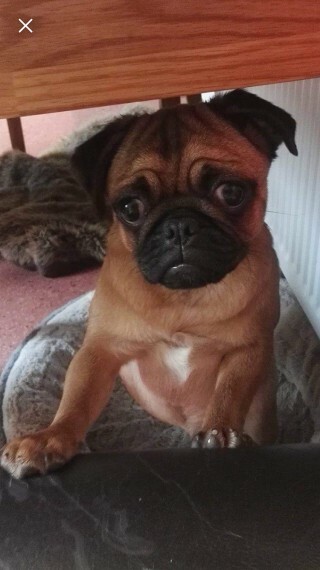 For sale is my gorgeous Apricot KC pug pup due to no absolutely no fault of her own! Ive just gone back to work full time and cant give her the time she needs and deserves, So a perfect home is a must! She KC registered and all up to date with her vaccinations including kennel cough and vet checked! Shes a lovely little character gets on great with other dogs and my young children. Any questions or more information please dont hesitate to ask.